Is Your Church Furniture Matchy Matchy? Now, a designer’s sofa is charcoal gray twill, one chair is blue toile, and the other chair is apple green with charcoal cushions. The coffee table is a repurposed wire cable and there is only one end table… it’s a witty pottery piece that looks like a vase. You can buy the whole collection as a set and then pretend that you fell in love with each piece individually on your travels. In church, you could get that eclectic style by keeping your original pews and the pulpit that came along sixty years later, then adding chairs that don’t exactly match, and an altar from the church that combined with yours during Reunification. But church furniture isn’t supposed to be trendy. It’s supposed to be lasting, to bring a sense of solidity and confidence to your church home. It’s also not supposed to draw attention to itself. Ideally, church furnishings give us a feeling of peace and harmony that allows us to keep our attention of God and his word. Often, the best way to make sure your worship furniture provides that harmonious experience is to match your pulpit to your pews and your pews to your chairs and your chairs to your altar and your altar to your pulpit. Then make sure that all of those pieces work well with the interior of your church. We can make this happen by creating all your church furniture for you, with your sanctuary in mind. We can also match the finish from earlier pieces, because we use Minwax, which lets us match very precisely. If you church furniture has mixed styles to honor the history of your church, that’s wonderful. 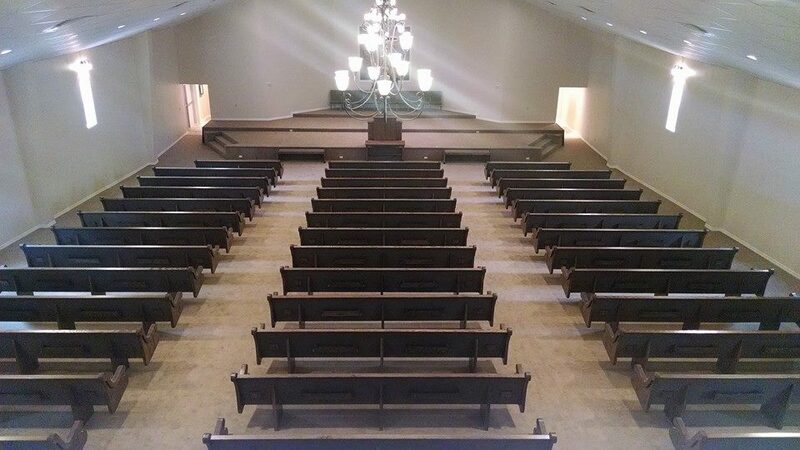 If it’s because you think your congregation can’t afford new, matching church furniture, talk with us and let us show you just how affordable beautiful custom church furniture can be.